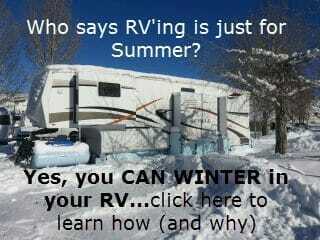 RV Travellin’ Season across most of our nation is June – July – August. In some regions, school lets out in early June, in others, late June. Whenever that date passes, campgrounds and related attractions (water parks, zoo’s, swimming pools, beaches…) see the most activity. While this can be lots of fun for the kids, it necessitates advance reservations and planning. All this activity comes to a close in late August and certainly by Labor Day (First Monday in September). Traveling off season has its benefits – and at times, challenges. 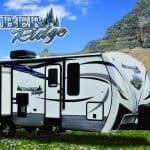 Traveling across the northern tier after Labor Day is easier in many respects – campgrounds are empty, reservations are rarely needed (exception: some National Parks, Yellowstone in particular who stays busy until the campgrounds close, typically at the end of September), and rates often drop. Many parks that are not open all year remain open through September. As October arrives, some close for the season, or provide limited services (eg: they turn the water off, but leave the electric on.) Often this is accompanied by reduced rates. The weather across much of the nation in these months is often spectacular! Cooler days and pleasantly chilly evenings. It is also (often) a dry time of year with limited rainfall across much of the northern tier. As the Autumn season progresses, again, particularly if you’re in New England or any stretch from Michigan to the Dakotas to the interior Pacific Northwest, the risk of “weather” (early snow) and freezing temperatures increases. 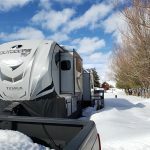 For myself, traveling in a fifth wheel with a sealed, heated underbelly, all that means is having the presence of mind to turn on the furnace to keep everything “down there” liquid. Cracked plumbing or a destroyed hot water heater is never a fun thing to wake up to on a frosty morning in October! Additionally, I travel with a heated water hose (it has an electric element wrapped around the hose) and this insures I’ll never awaken with a busted water hose on a chilly morning. 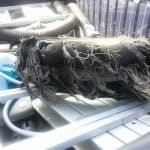 Your gravity (fresh water) tank is an acceptable alternative, but it requires your water pump to be working – I’ve been through 3 so far in my rv’s 5 year life! As November arrives, I find myself still in the northern tier – in fact, I winter in the mountains where I ski and ski instruct. When I travel in November, I keep a keen eye on the weather as winter storms can most definitely impact travel. 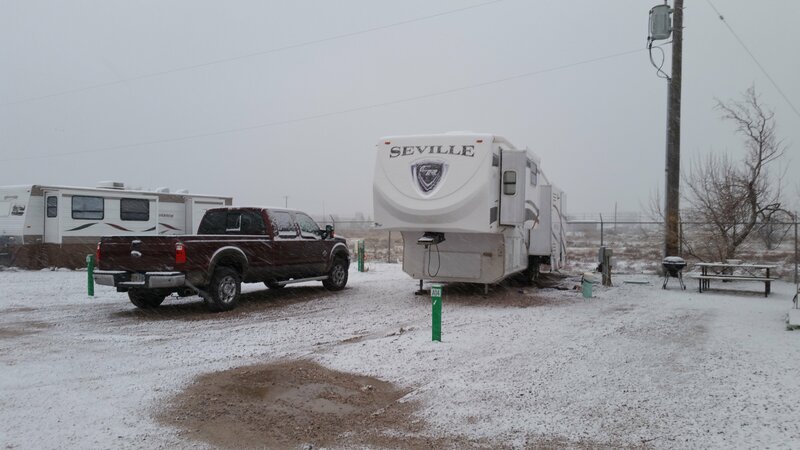 I’ve found its always better to remain flexible and choose to NOT travel with your fifth wheel when there is snow falling and snow accumulating on the roads. Like the content? 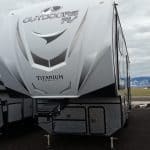 Subscribe to RV Across America – scroll up (or down) to locate “follow us” which invites you to enter your first name & email to receive periodic updates. We will NEVER sell your name or spam you with excessive emails! When I grew up in the Northeast, I would often travel to New England for some “late season” skiing. 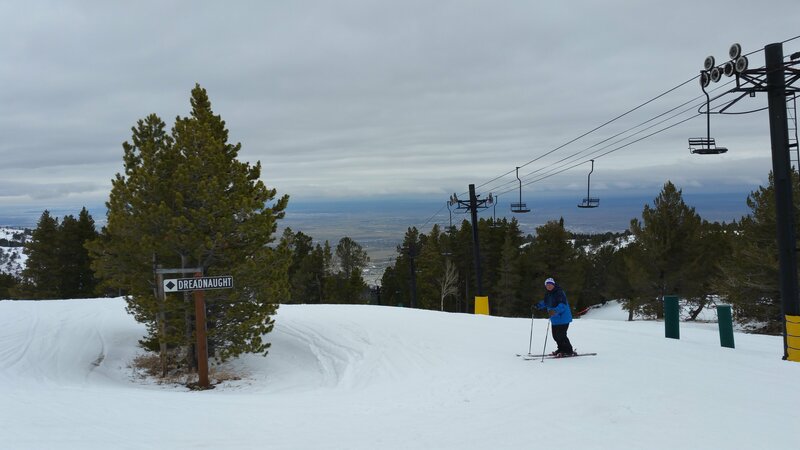 Skiing after March 15 often provides “spring conditions” – long days, milder conditions, and soft “corn” snow. Something else, a bit less pleasant begins to develop after March 15… MUD! Yep, after a winter with snow on the ground all winter, when it melts, it softens the ground and for a time across much of the northern tier, its mud season! 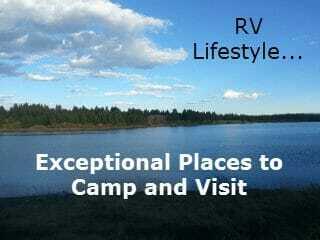 I pulled into a campground (see my post about Lava Hot Springs – DEFINITELY worth the visit! 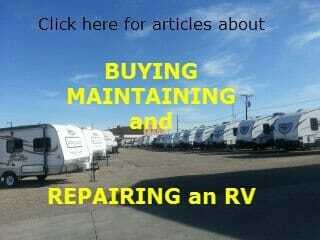 ), the owner warned me to avoid the rv sites near the dock (along a river) as I may park my RV and wake up in a BOAT! That is, the river was already at flood stage and was still rising! Even the ground where I camped gave me pause to wonder how deep my tires might sink and whether I’d face challenges getting back “on the road” when the time came to “break camp”. AllStays is a GREAT tool for your phone and/or laptop to plan your travel! My next stop (sort of) after Lava Hot Springs was a small town named Kemmerer, Wyoming. My intent was to stay behind the Hams Fork Restaurant. This is a spot that has a few sites with hookups behind the restaurant. They had a deal last year where you can stay for free if you opt to have dinner with them! Kinda like dinner and a campsite! Sounds like a deal to me – and the food is good. So… I set my “maps” app on my android to Kemmerer, it was to be a short drive from Lava Hot Springs to Kemmerer (about 2 1/2 hours with my fifth wheel in tow.) As a side note, I do NOT rush when towing my 5er! I fully acknowledge trailer tires are not the best (even though I’ve upgraded to Maxxis) and I rarely exceed 65 mph. 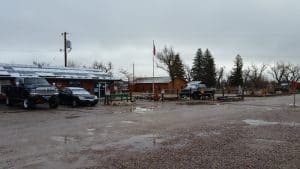 When I arrived in Kemmerer, I encountered two issues typical of pre-season travel. 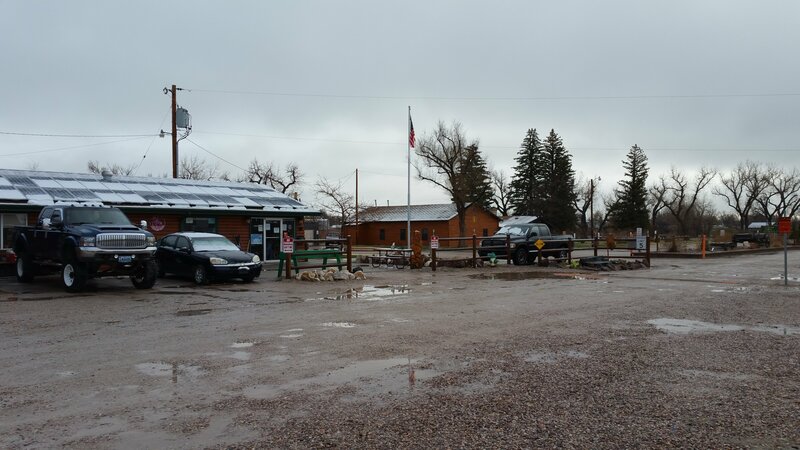 The restaurant was not yet open for the season AND the campground was still covered by snow! Kemmerer sits on a plateau at about 7000 ft. and despite the unusually mild March weather for much of the month, it lay there under a blanket of snow! 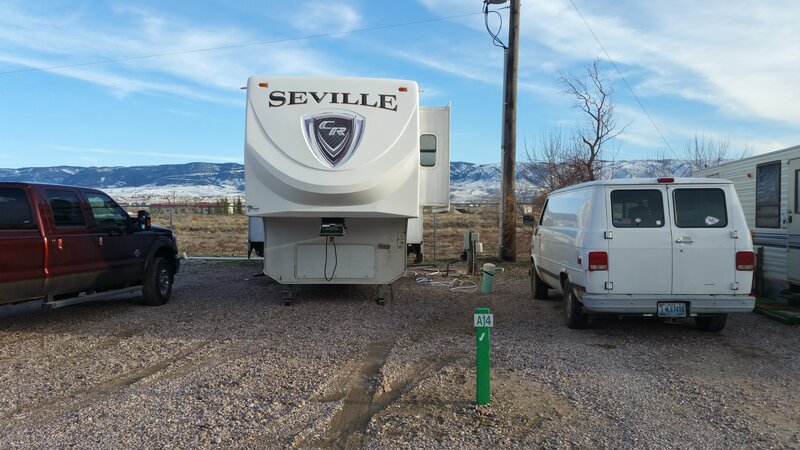 I was hoping to get a couple of days in at Saratoga Hot Springs (Wyoming), but opted to head for Casper (my summer haunt) as I was concerned the campground would be too soft and my landing gear would sink. I also caught “wind” of an approaching storm, one that was supposed to be rain, but ended up being snow – especially at higher elevations. Here in Casper, on March 31, we received about 2 inches, with over a foot on the higher elevations! In fact, tomorrow (April 2), I plan to go skiing at the local ski area – and that TRULY will be it for skiing this season. Pre-Season Travel – waking up to SURPRISE light, wet snowfall! Don’t worry, the snow melts shortly after sunrise (usually). Just adds to the adventure in pre-season RV travel. Join in on the conversation! 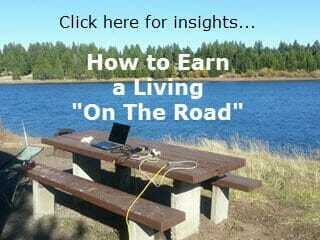 Join our Facebook RV Lifestyle group HERE. Enjoy the peace and quiet! As with ANY RV travel, “expect the unexpected”. 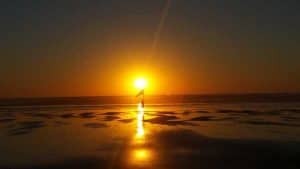 If its critical a campground you wish to stay at be open, CALL in advance. There was an occasion when I first traveled with my 5er and was crossing South Dakota just before Christmas, I needed a spot with electric. I called an RV park that was closed for the season, but the owner was nice enough to point me (by phone) to a site where I could spend the night and then be on my way. Off-season RV travel allows you to travel at a quieter time of year. 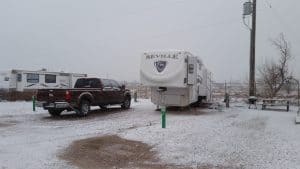 Yes, full services available in the summer aren’t always available, but rates are often reduced (or negotiable) at RV Parks (and remember – as always, weekly or even monthly stays are more cost efficient than daily stays.) 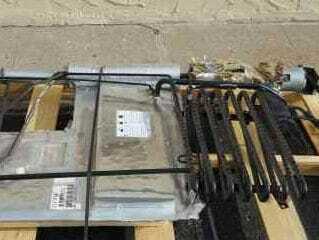 There are weather related challenges, particularly in the early Spring or in the late Autumn. 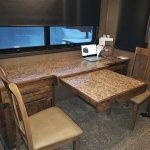 While you’re here – feel free to visit our HOME PAGE – there are 9 “tiles” covering most aspects of RV Life and each leads to a number of informative and hopefully entertaining articles – complete with videos and photos.